Stabilo Boss highlighter pens connected with the cause of equality in this print advertisement from 2007, drawing on the inspiration of Martin Luther King. 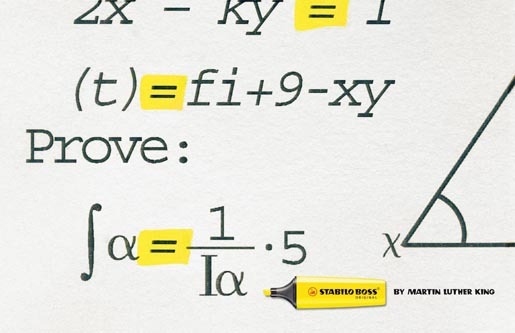 Boss Original Highlighter, produced by Stabilo International, is used to highlight the equal signs in what appears to be a complex mathematical equation. 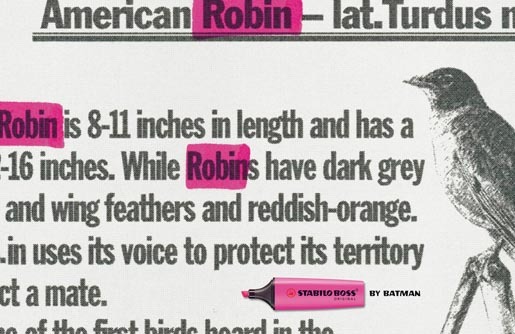 The campaign also included ads featuring Douglas Adams (42) and Batman (Robin). 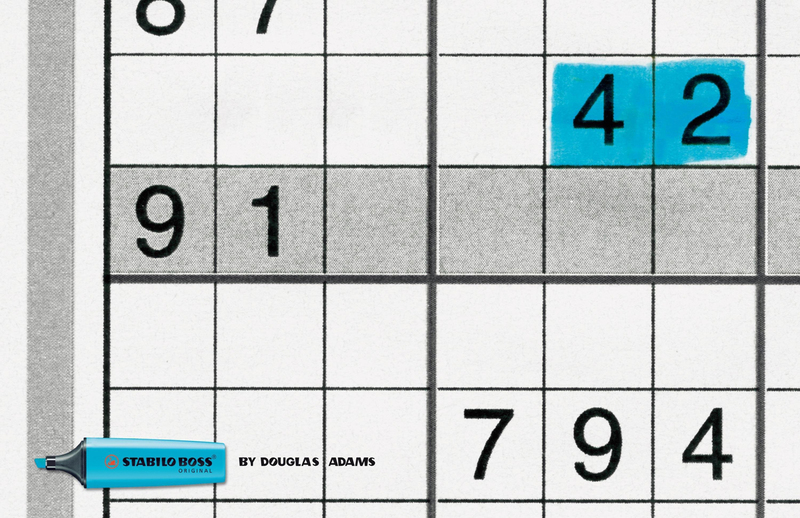 The Highlight campaign was developed at Serviceplan, Munich, by creative directors Alexander Schill, Axel Thomsen, Maik Kaehler, Christoph Nann, copywriter Rudy Novotny, art director/typographer and photographer Till Diestel, account supervisors Laura Doetz and Julia Thoemen.